Everton signed Cenk Tosun on a big money move from Besiktas over the winter transfer window amid high expectations. Tosun joined the Toffees having scored 14 goals and provided three assists for Besiktas over the first half of the season. The Turkey international really turned heads with his Champions League form scoring four times and providing two assists in the group stage. The 26-year-old helped the Black Eagles become the first Turkish team to book a place in the Last 16 as group leaders. 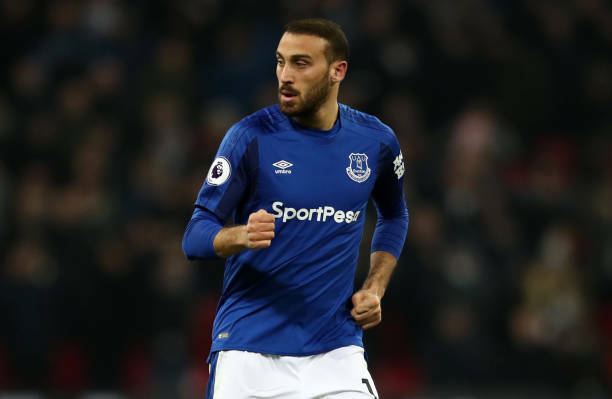 Tosun has however, struggled for playing time since joining Everton, making just two starts and being dropped for his last three games for Oumar Niasse. Form Bayern Munich star Hamit Altintop gave his former Turkey international teammate some advice. Altintop urged Tosun to be patient and keep trying to integrate with his teammates as well as prove himself to the head coach. Tosun is no stranger to fighting for his place in the team. The 26-year-old joined Besiktas as third-choice striker but manager to become a starter despite having the likes of Mario Gomez, Demba Ba and Vincent Aboubakar as competition. “Cenk has made tremendous progress over the past two and a half years, and having Mario Gomez and Demba Ba as teammates or competitors has taught him a lot, his character and workload are great benefits for him,” he added. Tosun is currently with his Everton teammates in a mini training break in Dubai. The Toffees take on Watford next on Saturday 24 February.